I guess we didn't quite finish the fight in Halo 3, because Master Chief is back in Halo 4, which was announced today at E3. 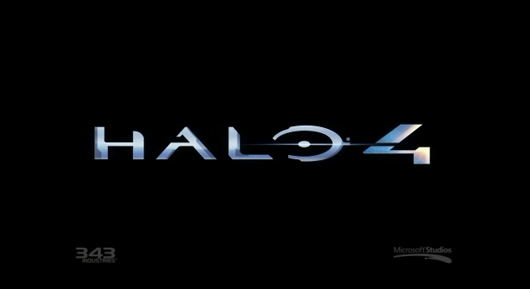 Alongside a sweet cinematic trailer (directed by Tron Legacy's Joe Kosinski) we got word that not only is Halo 4 being worked on, but that it will be the first game in a new Halo trilogy, and it will drop in late 2012. The trailer shows Master Chief waking up pretty much right where we left him at the end of the Halo 3 legendary ending, although our torn up ship appears to be headed more towards a giant structure than an abandoned planet. Cortana is back, and will surely tag along with Chief once again. With the abandoned, hidden area that Chief finds himself in it looks like 343 Industries will be returning more to the "solo" style of Halo 1 than the "part of a huge army" approach we saw in Halo 2 and Halo 3. We'll try to get our hands on that trailer and get it up soon.